Stephanie & Brian celebrate from North Beach to the Olympic Club. Adeeti & Hannes' colorful festivities at the Ritz Half Moon Bay and the California Academy of Science. Michelle & Jason's Barndiva wedding in Healdsburg is the definition of rustic elegance. 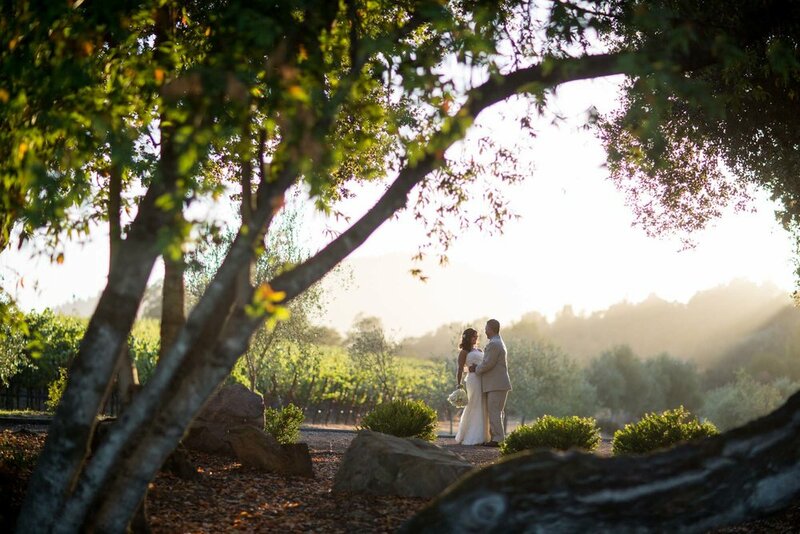 The romantic setting for Robyn & Dave's storybook wedding is Folktale Vineyards in Carmel Valley. 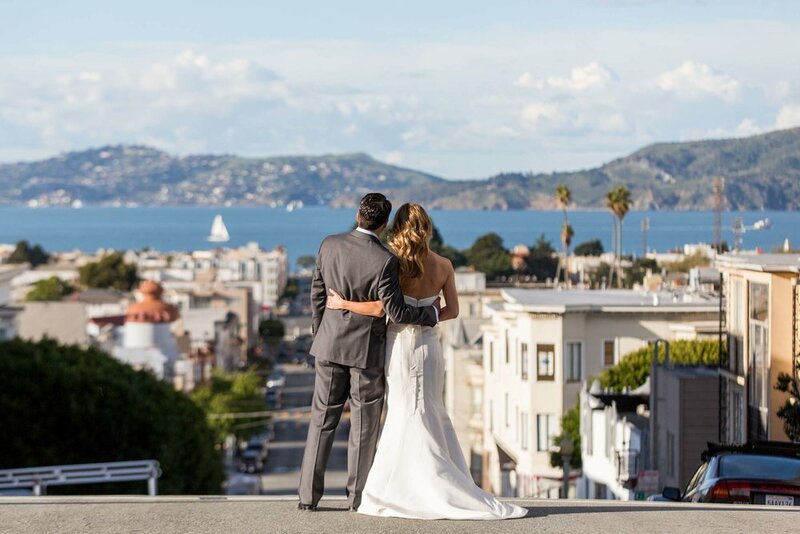 Sara & Sina tie the knot at the Presidio and celebrate at Fort Mason's Gallery 308. 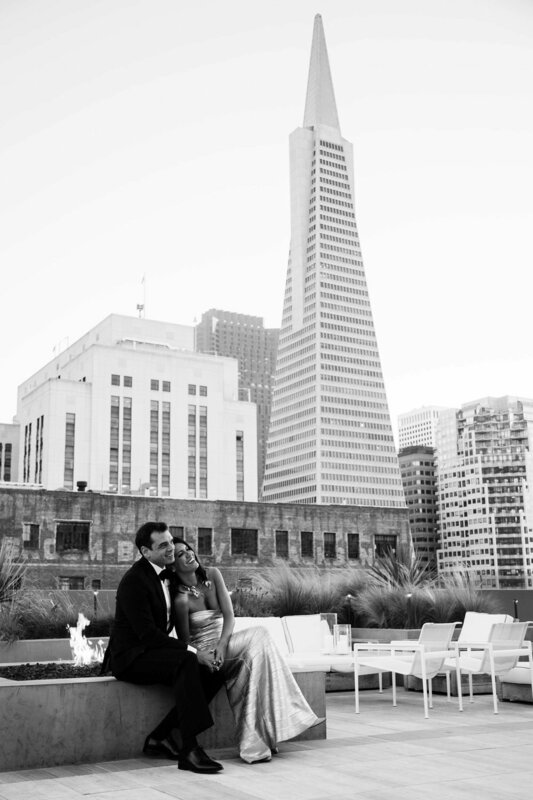 Stacy & Antonio explore hip industrial SF spots and then tie the knot at Terra Gallery. Bustle & Twine is a small collective of veteran professional photographers who share a similar philosophy, aesthetic and background. We believe in capturing the natural emotion, excitement and story of your day. Bustle & Twine specializes in magazine-style documentary wedding photography - telling the story of your day through all the beautiful details, unexpected surprises, and candid emotions as they unfold. Our team is comprised of award-winning professional photojournalists and portrait photographers, and though we were formally founded in 2014, we've been documenting weddings for close to 10 years now. All of our photography packages include a custom flash drive with all your edited full-resolution images. Our goal is to keep things simple and provide you with everything we'd want for our own weddings. So, all of our wedding photography packages come with your final full-res images hosted on a non-expiring website that allows unlimited free full-res downloading for you and all your friends and family; a custom flash drive loaded with all your final full-res images that will be mailed to you; unrestricted usage rights so you can make reprints or do whatever you like with your photos; quick turn around of all your images. The first edited images are online within 72 hours after your event, with the rest rolling out over the next three weeks or less. they tell a story from beginning to end." Bustle & Twine is located in the Bay Area and services all of Northern California. We can also provide photography for destination weddings as well. Let us know about your event by email or phone, and we'll get back to you within 24 hours or less.